The Winter/Spring 2014 issue of Endeavor (a publication of the Office of Advancement Communications) contains a nice write-up of the TDF . . . what it is and why it’s so very important to our research enterprise. View the article online here. While you’re there, take a look at the issue dedicated to entrepreneurship and technology transfer. Eighty faculty and students from the University of Rochester and Cornell converged in Ithaca on Tuesday, 6 May 2014 for the Upstate New York Health Sciences Symposium and Technology Showcase. 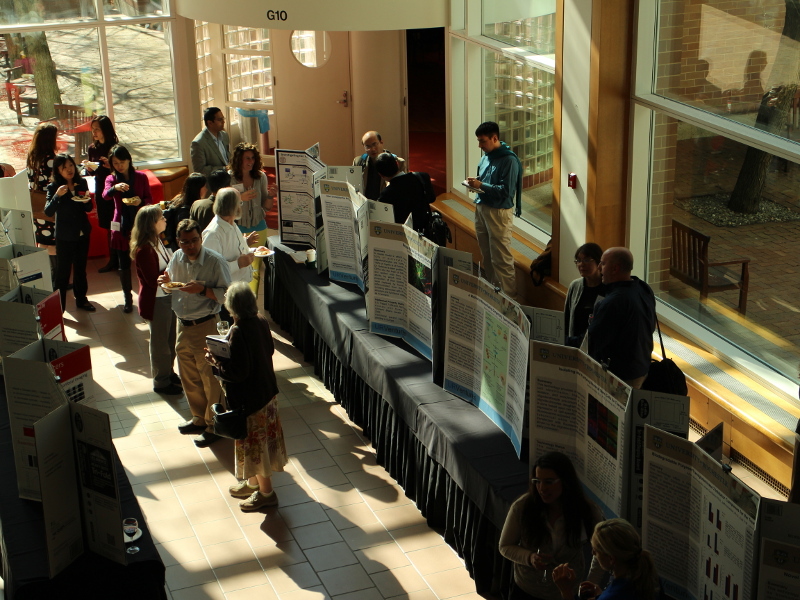 Attendees heard presentations from Cancer Biology and Neurobiology researchers and later mingled among more than two dozen posters detailing cutting-edge research being conducted at the two universities.